Earlier today, a report from Korean shores suggested that Samsung will launch its first Tizen-based smartphone in India next month with an extremely affordable price tag. It was not long before some images of the entry-level Samsung Z1 made their way on to the internet, as well as some screenshots of the device. Samsung has continuously postponed the launch of its first Tizen based device, and it all started with the Samsung Z which was rumored to launch earlier this year, but that never happened, and we started hearing about the Samsung Z1. 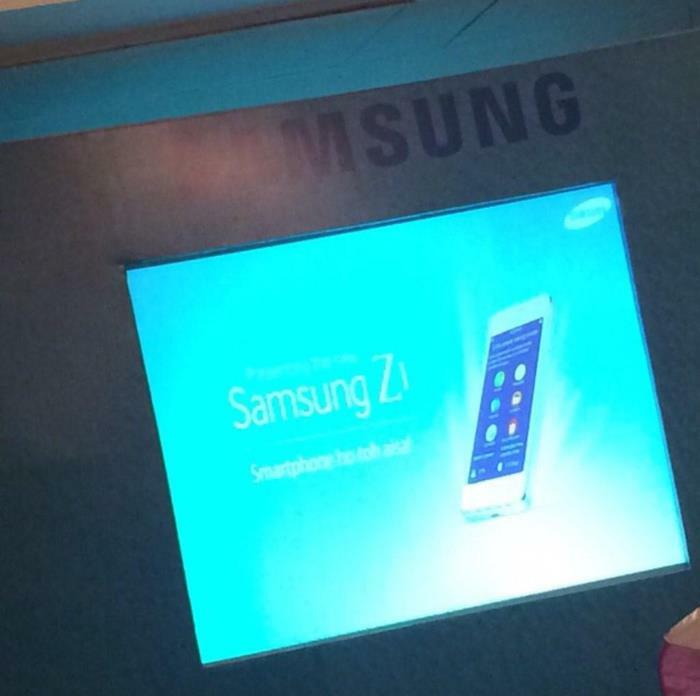 The image apparently shows a slide, and confirms that it will indeed be known as Samsung Z1. 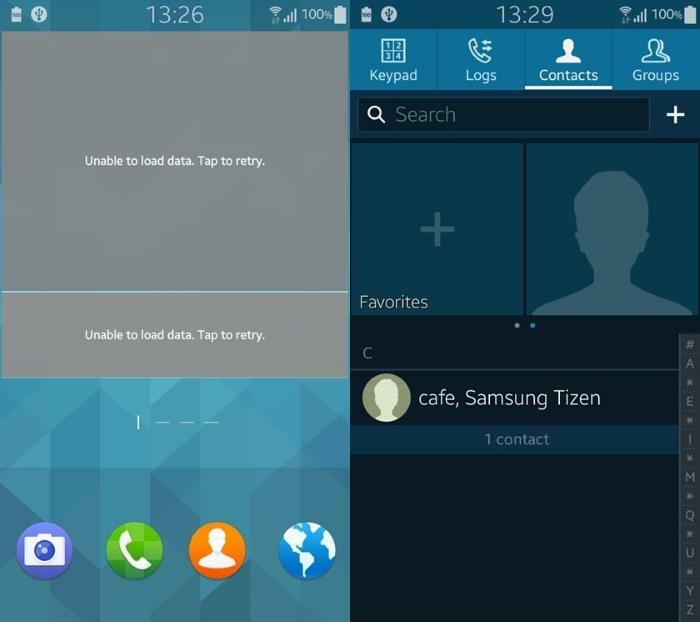 Here’s the screenshot of the Tizen operating system, which goes in line with previous leaks we’ve seen. Based on previous reports, Samsung Z1 is expected to feature a 4-inch display sporting a resolution of 800 by 480 pixels, a dual-core processor clocked at 1.2GHz, ARM Mali-400 GPU and 512MB of RAM. Other features include 3.2-megapixel primary camera, VGA secondary camera, dual-SIM card slot, 3G connectivity, Wi-Fi b/g/n, Bluetooth v4.0, and a microUSB v2.0 port. The handset is expected to launch on January 18th, 2015, but there’s no official confirmation from Samsung about it. We’ll update you as soon as the handset is official.